Democrats and gun-control advocates took aim Friday at Agriculture Commissioner Adam Putnam after the Tampa Bay Times reported that a former employee of Putnam’s agency failed for more than a year to conduct national background checks on applications for concealed weapons licenses. An Office of Inspector General report from June 2017 --- obtained by the Times in a public records request --- said that between February 2016 and March 2017, the Florida Department of Agriculture and Consumer Services didn’t access an FBI crime database called the National Instant Criminal Background Check System because an employee was unable to log into the system. 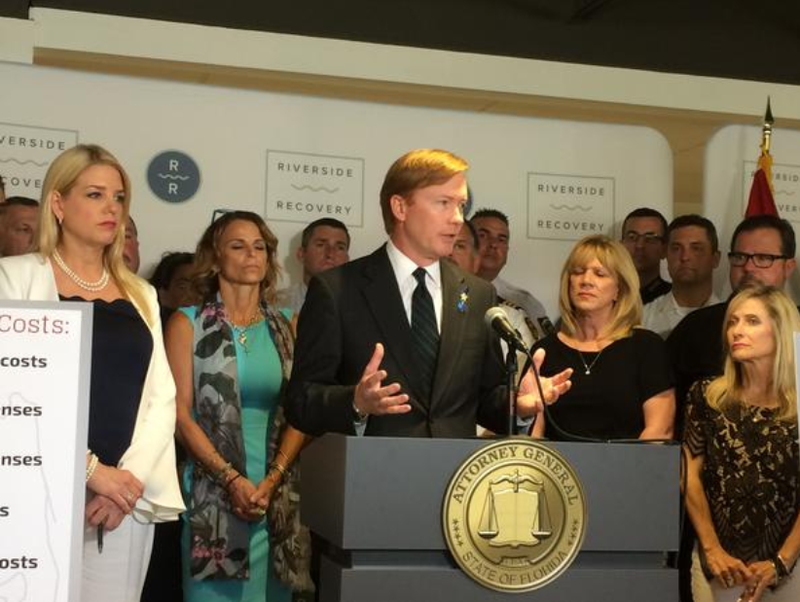 Putnam held a news conference on Saturday in Sun City Center to defend himself against critics who say he should resign because of the lapse in checks. Putnam is a Republican candidate for governor. The commissioner said "more seamless" communication between his agency and law enforcement, and "extra eyeballs," are in place to make sure the incident never happens again. He said a department employee failed to make follow-up inquiries into 365 applicants who were flagged for noncriminal reasons during three background checks from February 2016 to March 2017. As of May 31, there were more than 1.9 million concealed-weapons licenses issued by the state. The Times noted 245,000 applications were made in 2016 and 275,000 were made in 2017. The newspaper report touched off a political outcry Friday from Democrats. The governor’s race has included heavy debate about gun issues, particularly after the Feb. 14 mass shooting at Marjory Stoneman Douglas High School in Broward County. “It’s inconceivable Putnam’s office could be so negligent, especially because the Pulse massacre in Orlando occurred during the same timeframe,” Jason Lindsay, executive director of the Pride Fund, said in a statement. A gunman killed 49 people at the Pulse nightclub in Orlando on June 12, 2016. Democratic gubernatorial candidates rushed Friday to condemn Putnam, with Chris King and Jeff Greene, for example, calling for the agriculture commissioner to resign. Former Congresswoman Gwen Graham urged Putnam to “drop out now” from the contest. But Marion Hammer, the National Rifle Association’s longtime lobbyist in Florida, pointed to political motivations in the outcry from Democrats. “Democrats are having political seizures for the media again,” Hammer said in an email to The News Service of Florida. Patricia Brigham, president of the League of Women Voters of Florida, however, called the lack of background checks an “example of gross neglect” and cited part of the Times story that said the now-fired employee had been promoted from the mailroom to be in charge of database checks. “Why only one mailroom employee would be left to handle a job that is critical to the safety of all citizens is jaw-dropping,” said Brigham, whose group backs gun-control measures.